Teacher-Replacing Tech: Friend or Foe? Just as the Internet replaced telephone operators and the nightly news anchor as the default source of information, teachers may be next on the chopping block. Automated learning is a cheap solution to recession-swelling class sizes and renewed calls to make technological innovation a centerpiece of education. Districts all over are experimenting with teacher-less computer labs and green-lighting entire classrooms of adult-supervised children exploring the Internet–an Android powered tablet designed specifically for students. Teachers’ unions’ protests notwithstanding, the cybernetic takeover might mean a redefinition of “teacher” as a research assistant or intellectual coach, since subject-matter lecturers are no match for access to the entirety of human knowledge. 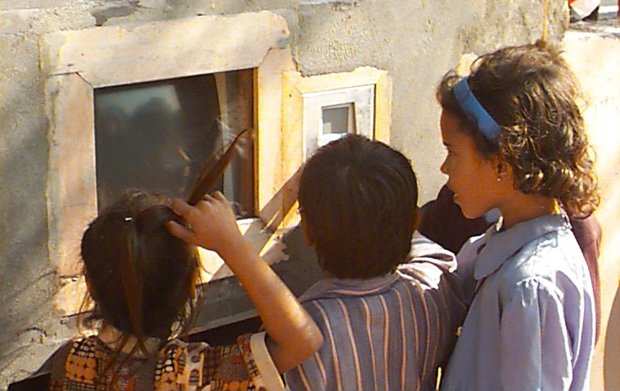 In the interest of exploring the difference, let’s start with some of the most disruptive evidence on teacher-less education–from the slums of India, where handfuls of unsupervised children can now compete with their privately educated counterparts, thanks to standalone kiosks connected to the Internet. Newcastle University Professor Sugata Mitra discovered that groups of children spontaneously formed supportive learning communities when given access to Internet stations and challenged to answer scientific questions. In his now famous TEDxGlobal talk, Mitra tells how a humble pre-teen girl led him to believe that he had underestimated his first experimental group of Tamil-speaking children. “So a 12-year-old girl raises her hand and says, literally, ‘apart from the fact that improper replication of the DNA molecules causes genetic disease, we’ve understood nothing else.&apos;” Emboldened by findings that one academic reviewer called “too good to be true,” Mitra is seeking billions in funding and millions of voluntary man-hours to launch his educational vision into a global movement. However unique and exciting Mitra’s findings are in the eastern half of the world, wealthy Western educators with broad access to computer resources have been experimenting on children since the 1990s. And, the results are positive. In a 2009 review of research, the U.S. Department of Education found that “Students who took all or part of their class online performed better, on average, than those taking the same course through traditional face-to-face instruction.” Unlike one-size-fits-all lectures, the report finds that computers can custom tailor the pace of learning to each individual student. Even more intriguing, the Department of Education found that online learners spend more time learning and on task. Unlike their brick-and-mortar counterparts who are habitually trained to stop learning at the sound of a bell, computers permit limitless curiosity to flourish. Indeed, Mitra found something almost unheard of in education research: students’ scores increased after instruction had ended because “the children continue to google further” on their own. Yet, student-driven classrooms do have serious flaws. In the condition without any adult supervision, Mitra found that children achieve only half of what their peers in face-to-face instruction can. The lure of video games and other mindless online activity quickly eclipse the fleeting intrigue of scientific exploration. Children, it seems, still need the encouragement (or coercion) of an adult to keep them from drifting off. Despite the promise that adult supervision can alleviate the motivation problem endemic to virtual classrooms, Professors Barbour and Reeves find that they still favor students with “independent orientations towards learning, [who are] highly motivated by intrinsic sources, and [who] have strong time management, literacy, and technology skills.” Even worse, virtual classrooms may exacerbate gender discrepancies in science learning, as Mitra’s own findings reveal that the alpha-male tendency of boys often crowds out female involvement. Thus, even in the wildest fantasies of proponents of child-driven virtual classrooms, adults still have a vital role to play as tutors, mentors, and coaches. As for the concept of a “teacher” as an expert consultant who acts as a glorified megaphone of facts at the head of a classroom, there’s a Google search for that.